Don't Forget Our Executive Search Service! At Jackie Kerr Recruitment, we've established a firm reputation for recruiting middle management, top sales people, professional services, customer support, financial and HR roles. We are also well-known in specialising in administrative and workforce roles and in finding and placing temporary and contract staff in many organisations across multiple industry sectors. However, although we have always offered Executive Search services to our clients, we haven't actively promoted this part of our service offering as much as we should. 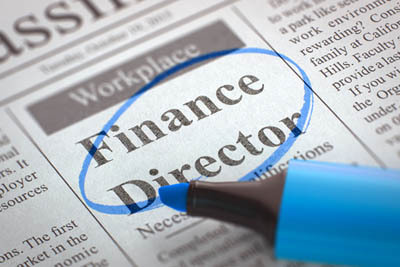 We have experience in finding Director and Board Level talent and also in recruitment for highly specialist and specific roles including non-executive directors, interim directors and managers, senior consultants and department heads including Commercial, Marketing, Operations, Finance, HR and IT departments. As we have consistently maintained our executive candidate database over many years, we know the career plans of the individuals we speak to. We often meet ambitious people who are happy today but would like to see their role develop over the next two years. Similarly, we also come across people, who are perhaps a little frustrated in their current role and, should something more exciting and challenging become available, they would be interested in a discussion. Although we work for our clients, maintaining long-term relationships with our executive candidates is vitally important. As ever, our skills are in matching the needs of our clients with the career aspirations of our candidates. Although this will always be a bespoke service, unlike many of our competitors, we do not charge an upfront fee for our Executive Search Service. Are YOU looking for an experienced Head Of Department to join your leadership team?